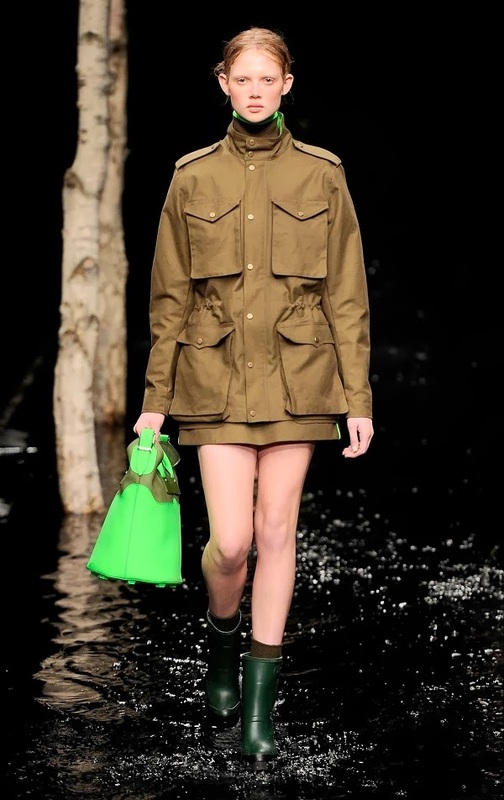 In every fashion week, there always seems to be one event that stands out for the most unexpected and unique reasons, making its tickets as covetable as gold dust. 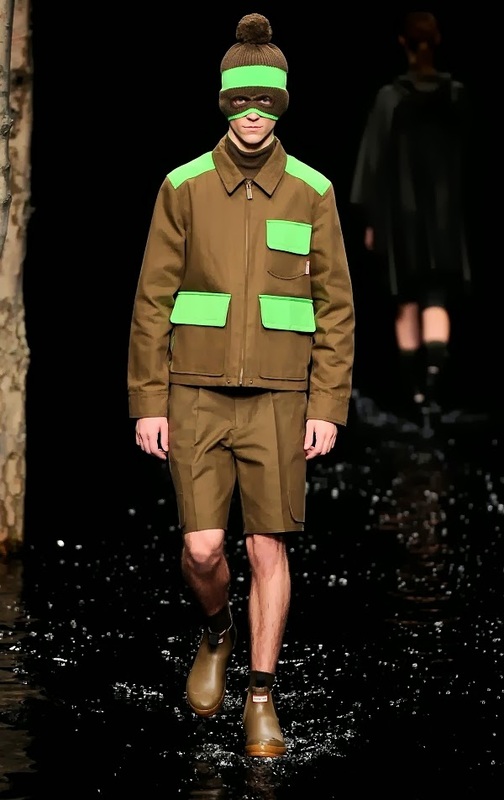 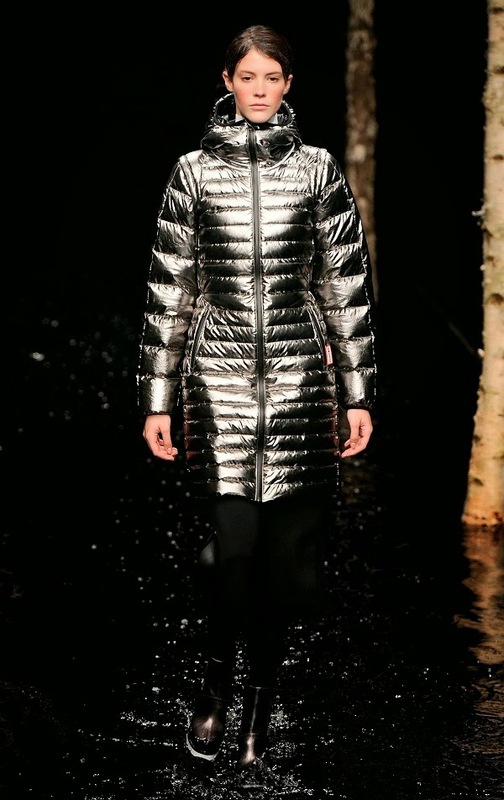 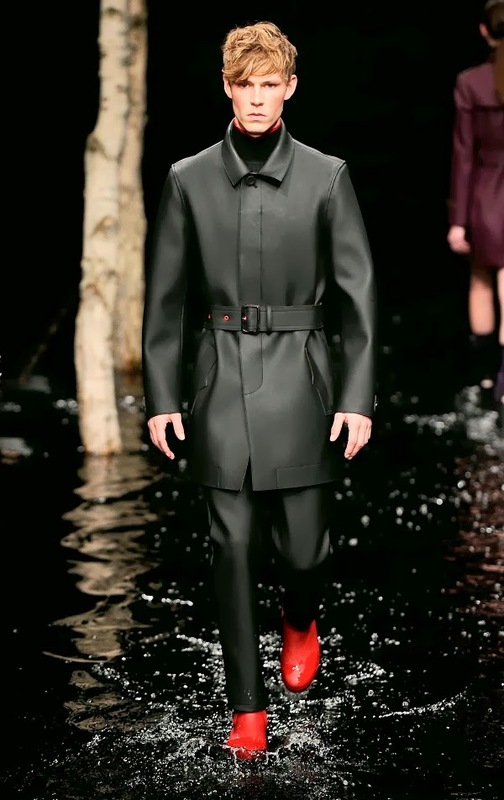 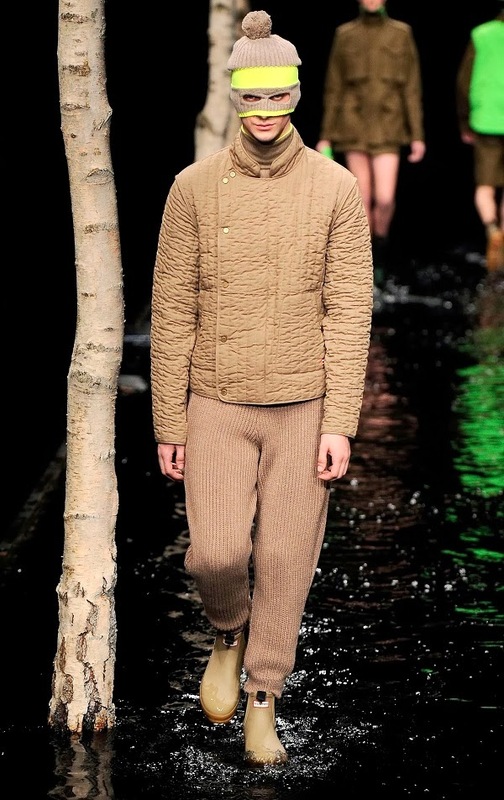 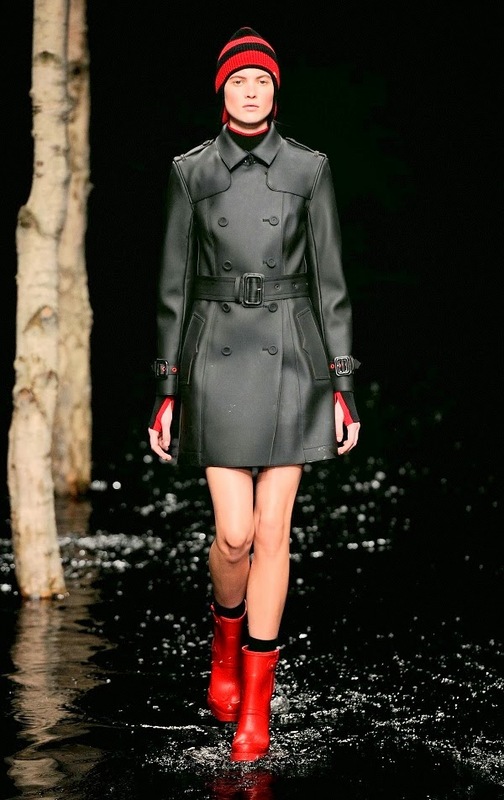 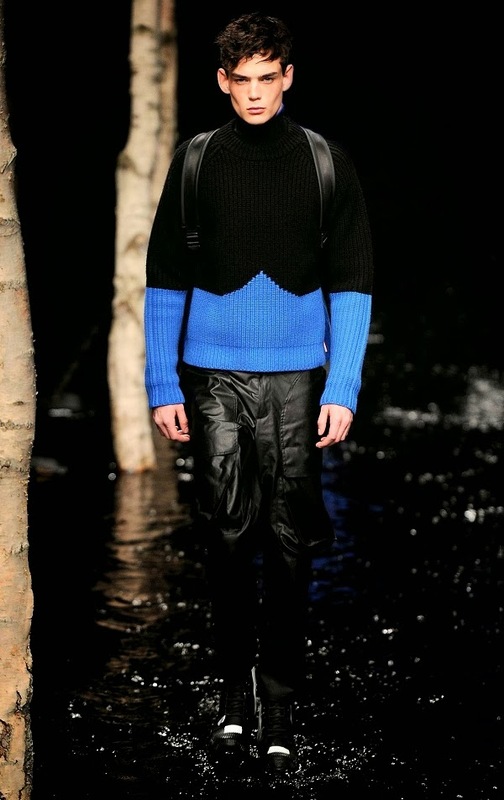 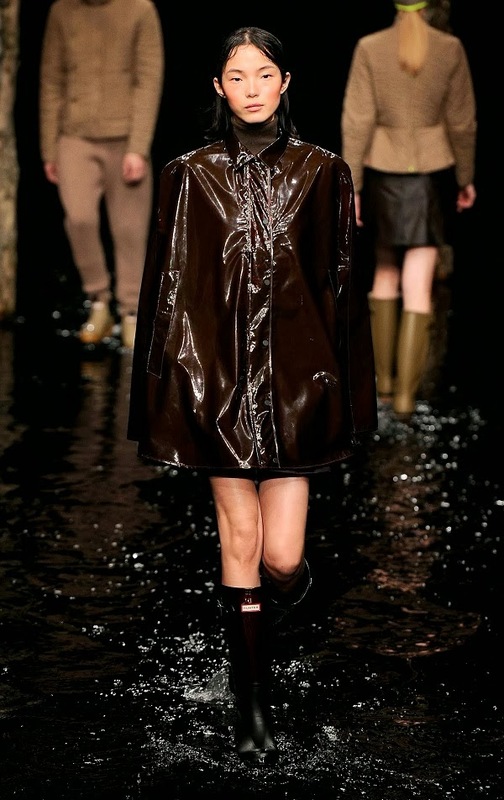 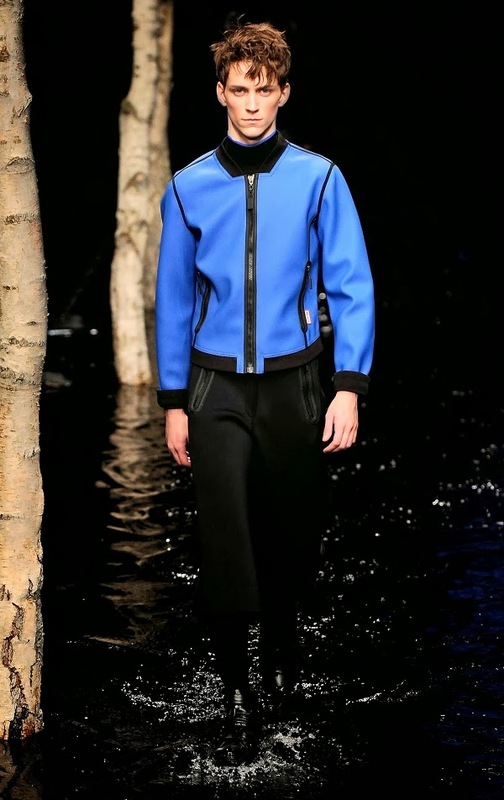 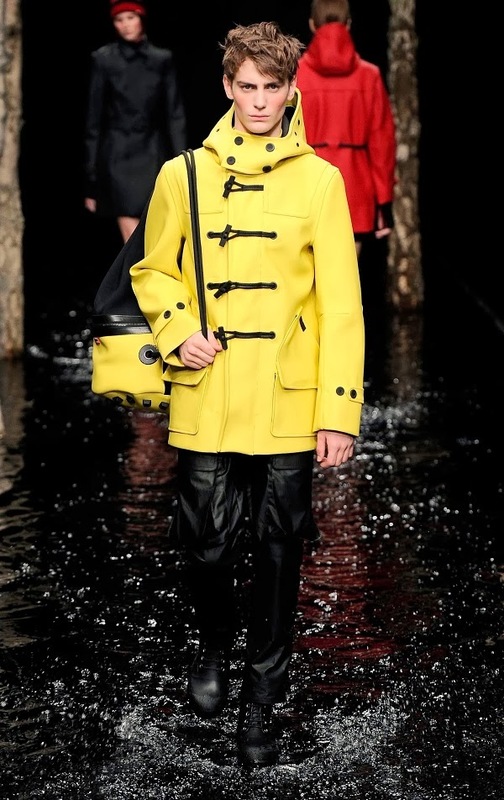 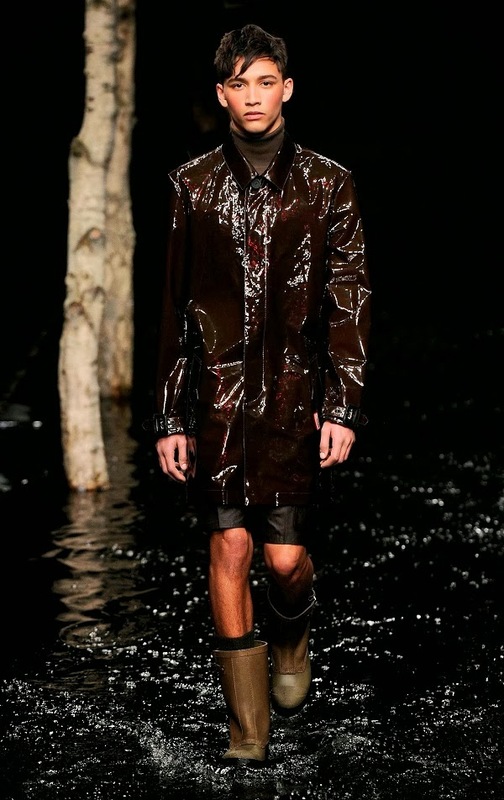 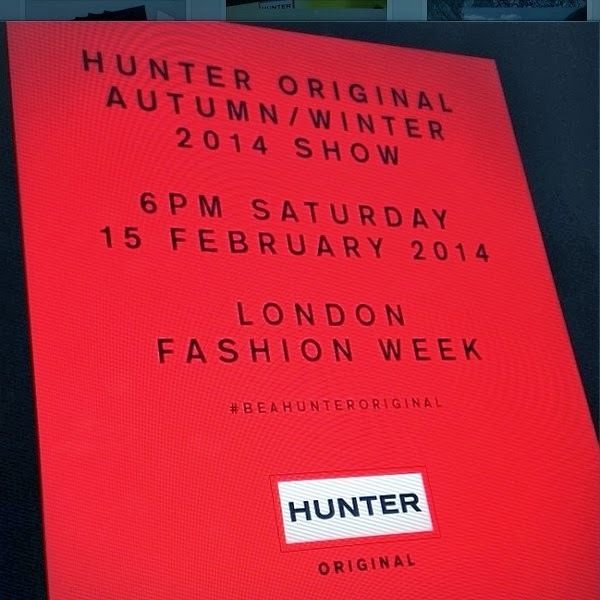 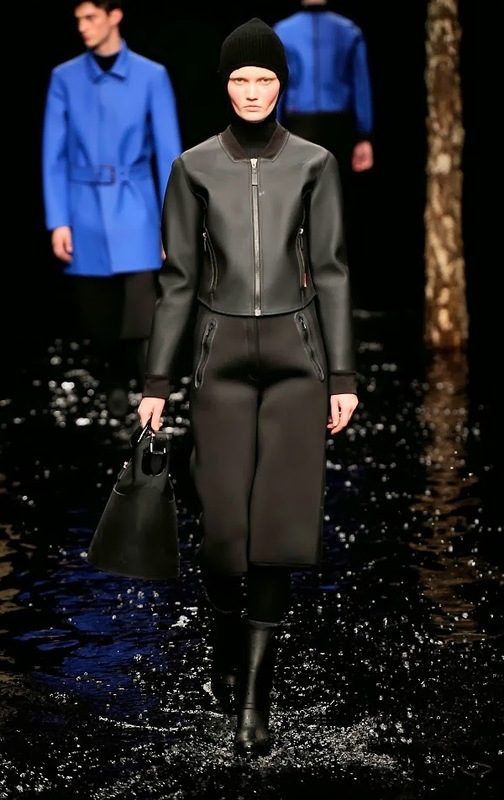 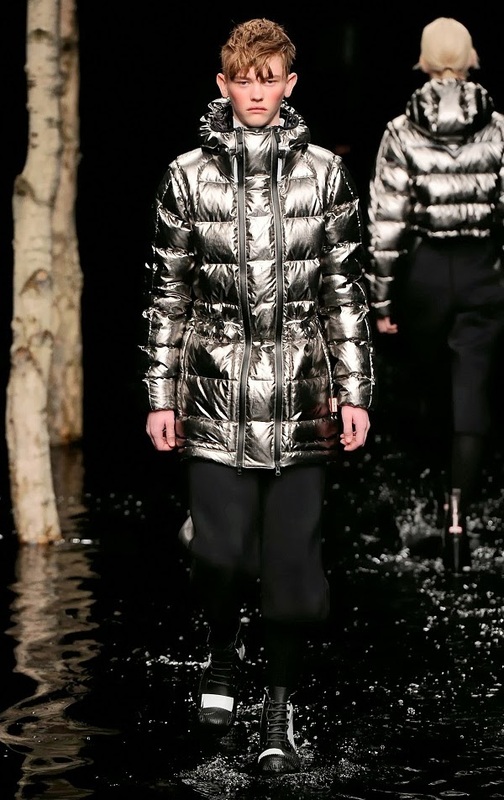 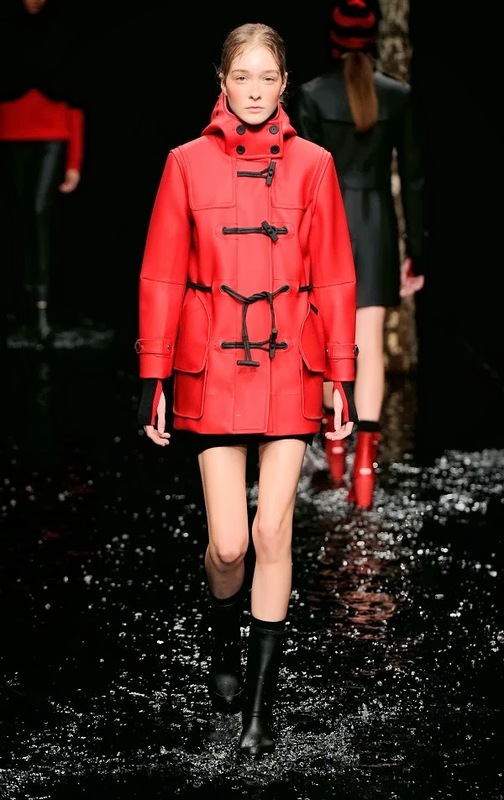 During the last edition of London Fashion Week, this honour belonged to the launch of Hunter Original and the runway show that unveiled the label’s inaugural collection for Autumn/Winter 2014, with the intention was to revitalise Hunter, a brand founded in 1856 and known for its Wellington boots. 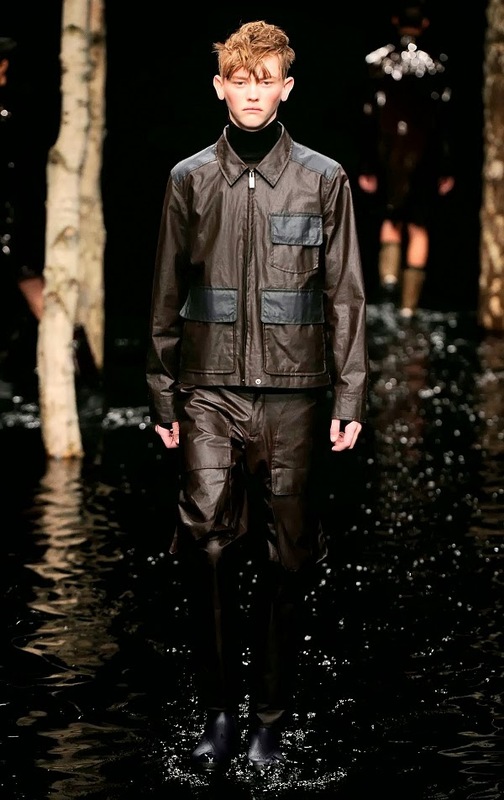 With Alasdhair Willis as the new creative director of Hunter Original, expectations for the collection and its presentation could not have been higher. 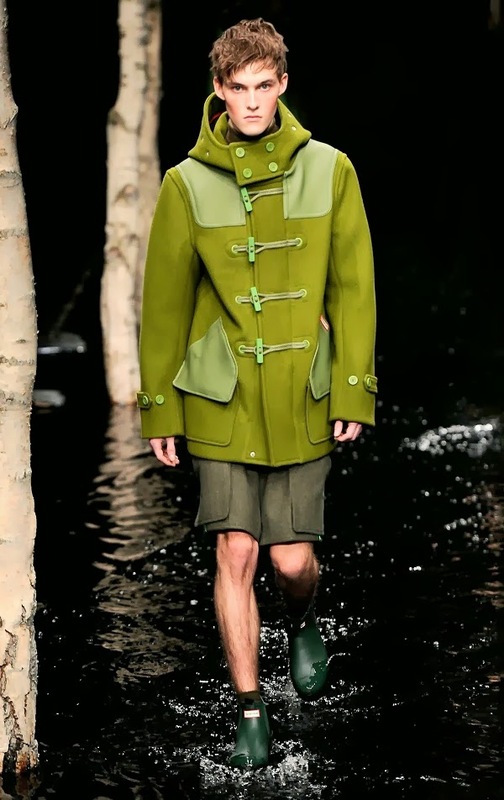 A Fine Arts graduate, Willis became known within the fashion and design arenas when he took the role of publishing director of Wallpaper* magazine. 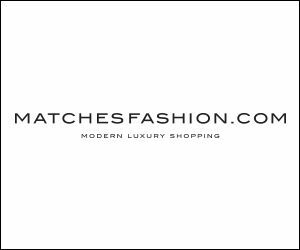 In 2005, he founded Established & Sons (a company that promotes British product design and has amongst its clients brands and personalities such as Dunhill and David Beckham), and these days he is also a board member of his wife’s Stella McCartney brand. 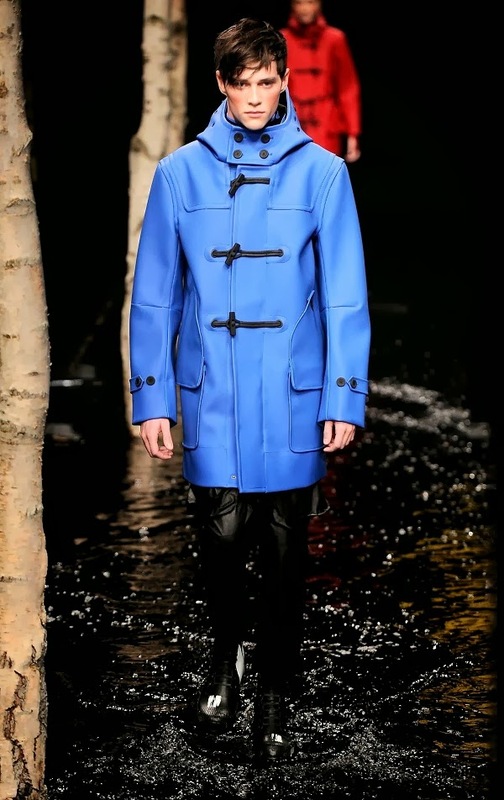 With a finger closely pressed on the pulse of British creativity but very much aware of its global commercial value, it was no wonder that the new majority owners of Hunter, American private equity firm Searchlight Partners, saw fit to offer Willis the job responsible for steering the quintessentially British brand Hunter into the future. 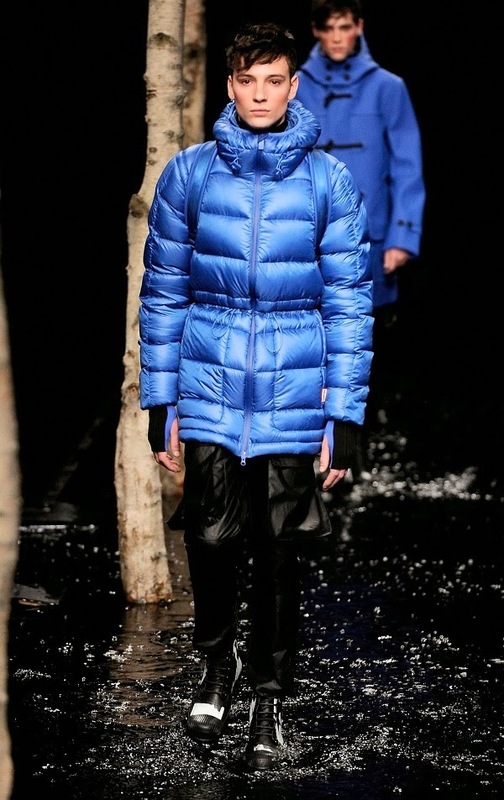 As guests gathered in the gigantic and cavernous space of the Ambika P3 gallery on the cold evening of 15 February 2014, a line-up of influential editors and celebrities could be seen taking their seats on the front row in anticipation for a collection that claimed inspiration from “extreme environments, ranging from the expeditions of men and women into the final frontiers of the deep sea and outer space”. 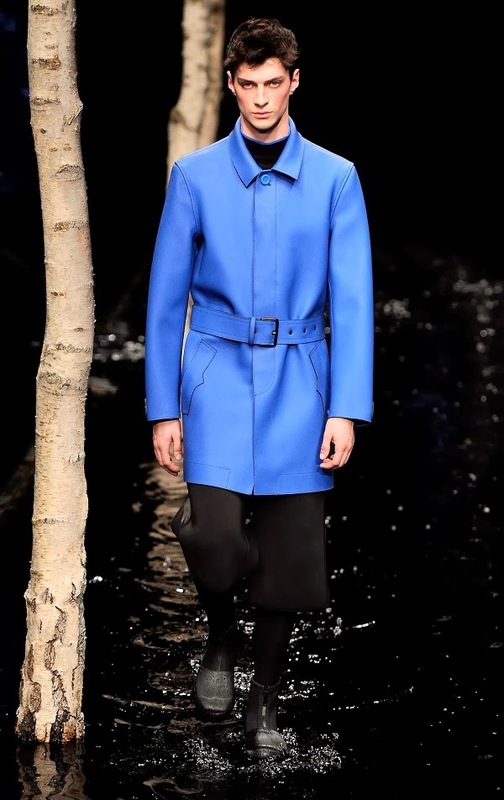 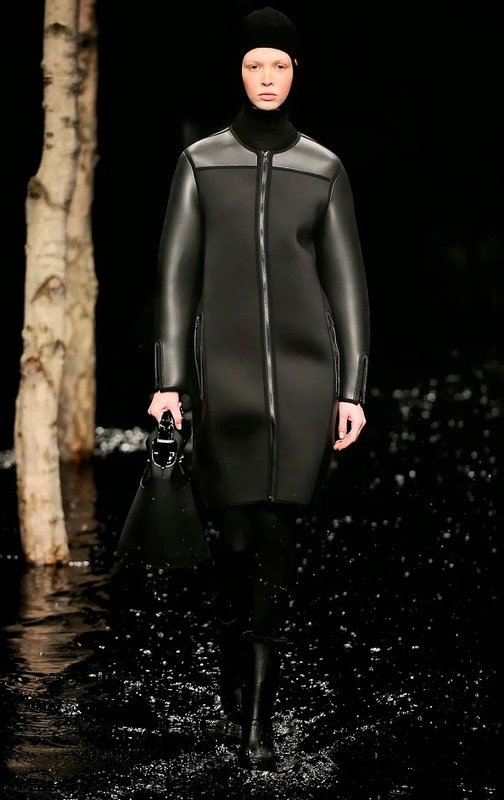 Facing a pitch-black runway (that proved to be a paddle pool once the show started) surrounded by towering silver birch trees, one could count Jessie J, Arizona Muse, Mark Ronson, Josephine De La Baume, and Laura Mvula; and, sitting together, Stella McCartney, Mary McCartney and Vogue US editor-in-chief Anna Wintour. 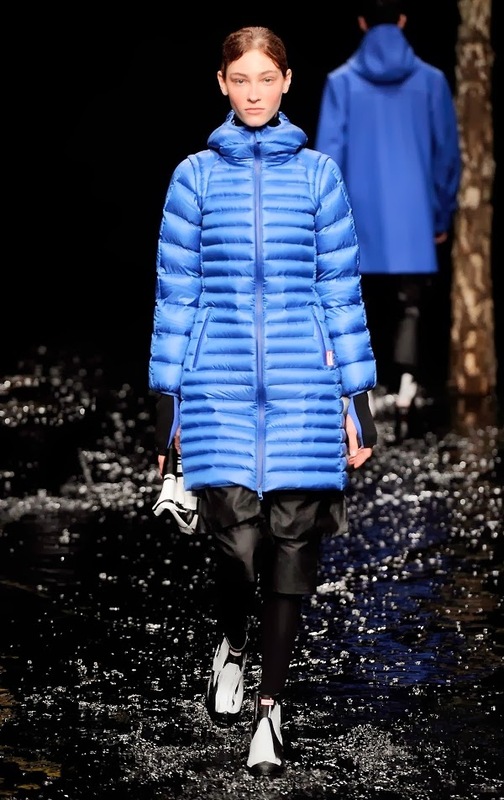 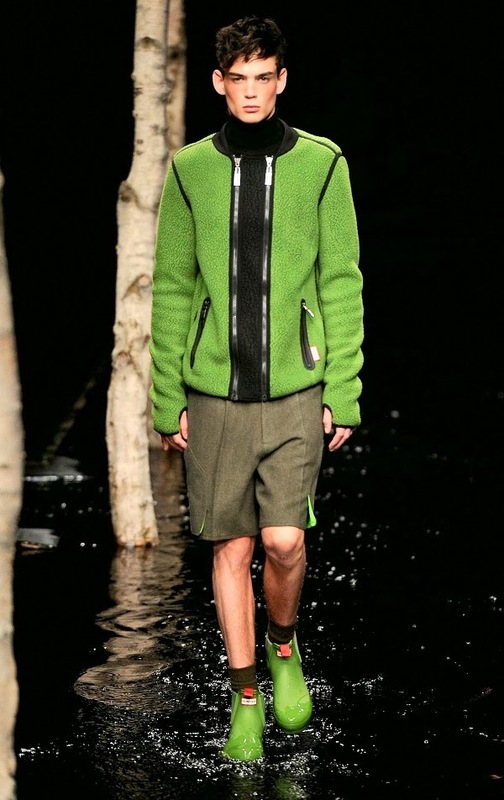 The collection did not disappoint, with a range of accomplished outerwear pieces in a contrasting colour palette that saw blacks, greys, browns and metallics juxtaposed with vivid primary colours like red, blue, yellow, and green. 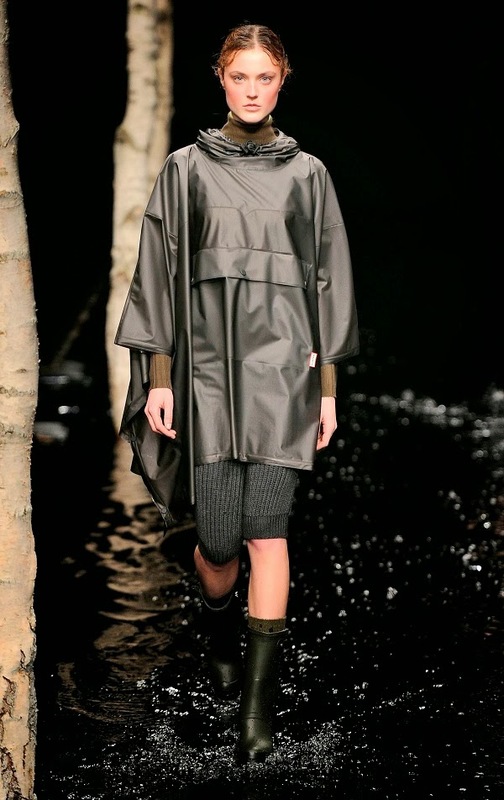 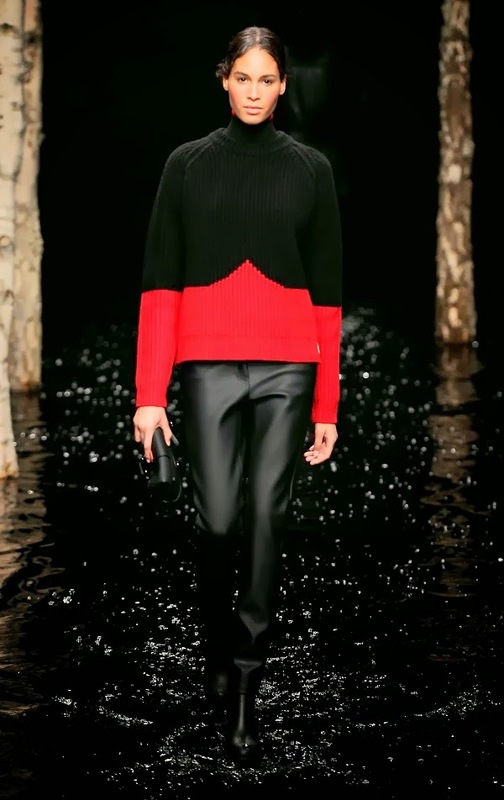 Silhouettes were structured by the rigidity and gleaming qualities of fabrics such as vinyl, neoprene, rubber, fleece and thick wools to create capes, ponchos, duffels, trench coats, and knitwear pieces with geometric patterns. 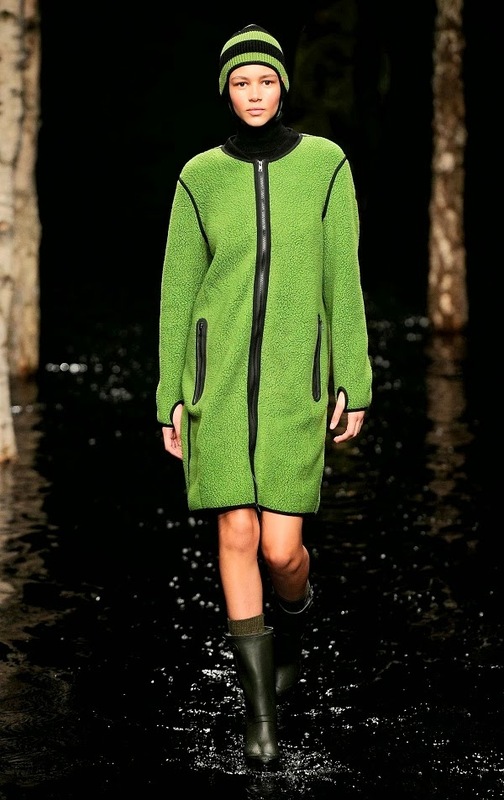 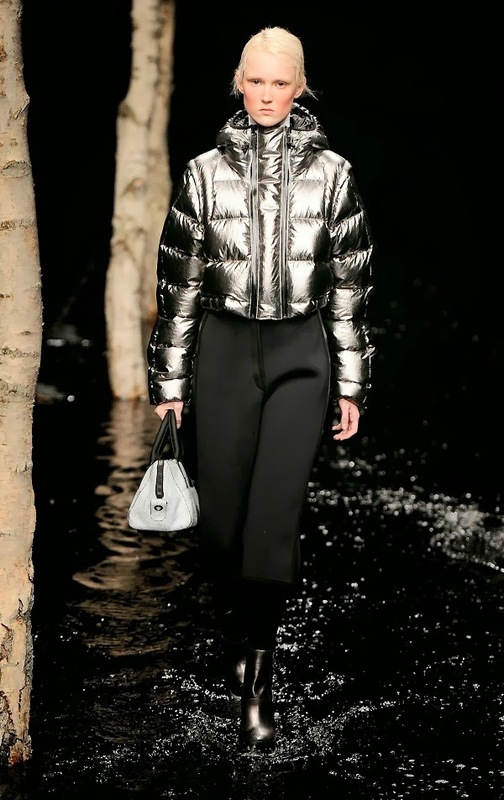 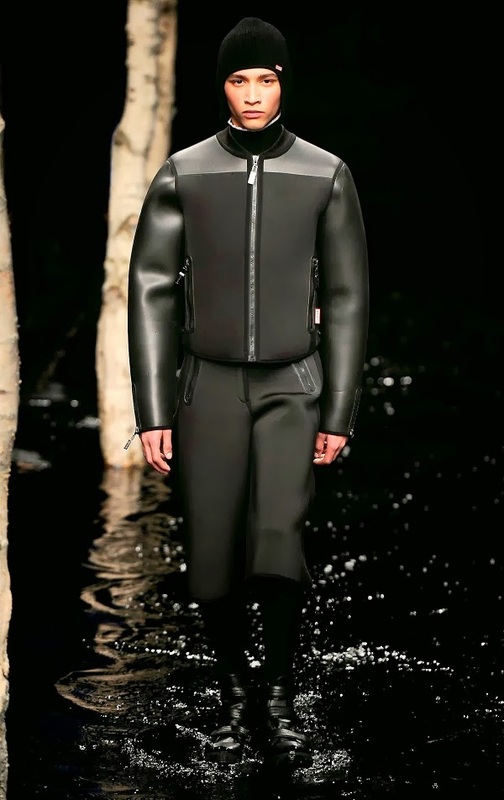 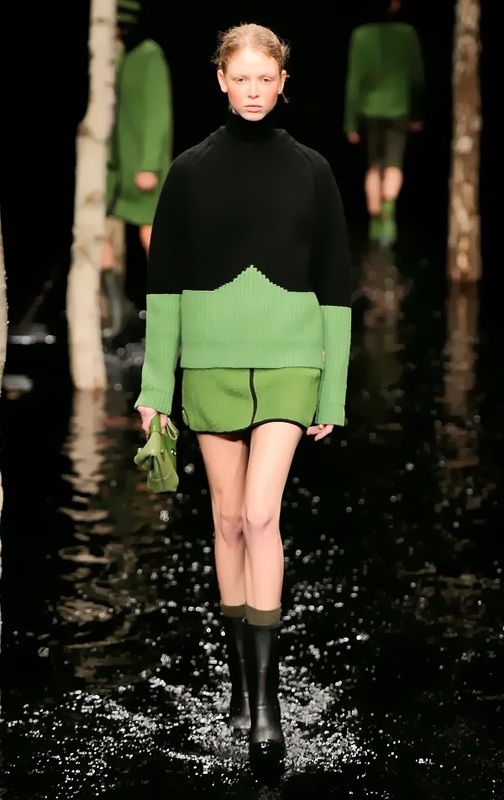 Details came in the form of ski balaclavas, large patch and flap pockets, and, unavoidably, a reinterpreted range of heeled Hunter wellies purposefully refashioned to seduce a whole new generation.